The three delays model illustrates crucial areas where the pregnant womans health is at risk. 1. The decision to access care – factors at home like knowledge, attitudes and resources. 2. 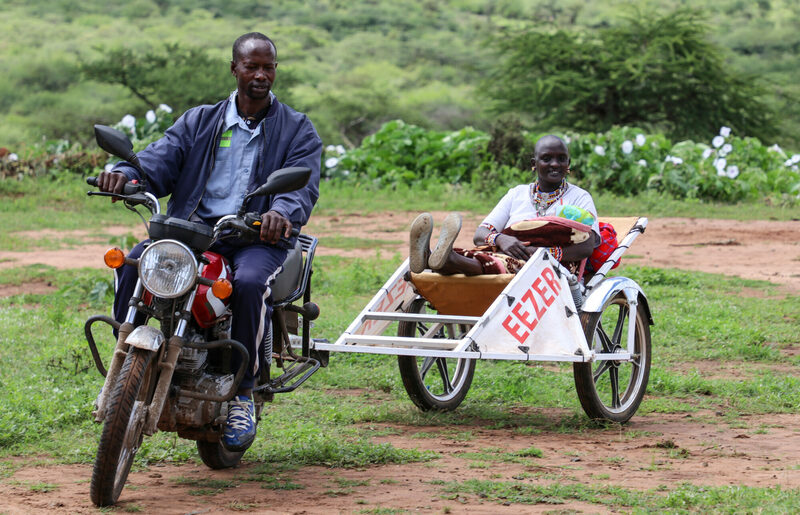 The safe and affordable transport to a medical facility. 3. The receipt of adequate and appropriate treatment at the facility. The Eezer strategy and entry point is the second delay. Where we provide safe and affordable transportation between home and clinic. Sets the ambition to reduce maternal mortality to less than 70 deaths per 100 000 live births before 2030.